Born in Ontario on 13 January 1860, as a young man he came to Manitoba as a telegraph operator for the Canadian Pacific Railway, having the distinction of opening the first railroad station at Brandon and other points to the west. After the road construction was completed, he was appointed station agent at Deloraine. He quit the railway to run for a seat in the Manitoba Legislature in 1892, and represented the Deloraine constituency for a single term. He then worked in the grain business from 1895 to 1901 when he opened an employment agency in Winnipeg. On 26 December 1887, he married Elizabeth Woodhouse. They had seven children: Violet Elaine Kellett (1889-? ), Charis Irene Kellett (1892-? ), Charles Reginal Kellett (1894-? ), Hugh John Kellett (1896-? ), Thomas Lawrence Kellett (1898-? ), William Kellett (1903-? 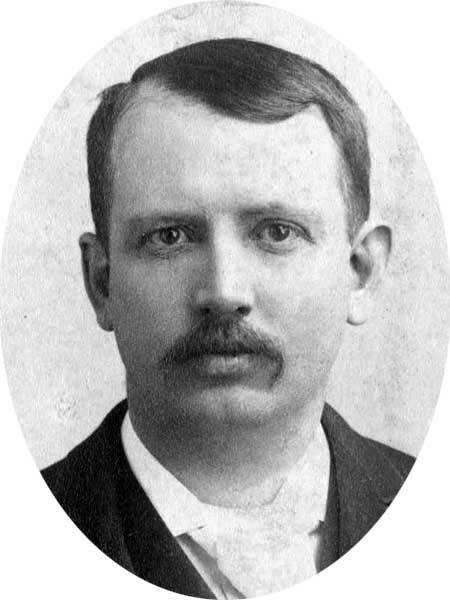 ), and Frederick Kellett (1904-?). Described as a man of “retiring disposition, quiet in his demeanour,” he died at Winnipeg on 2 November 1907 and was buried in St. John’s Cemetery. At the time of his death, the family lived at 382 Qu’Appelle Avenue. “Obituary,” Manitoba Free Press, 4 November 1907, page 7.